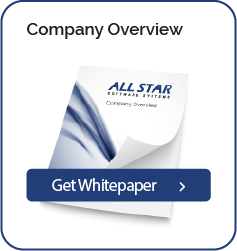 Tracking vendor relationships is critical to every organization. It becomes difficult when vendor information is located in multiple systems, tracked in spreadsheets or may just not be available. A vendor management solution allows users to interact with vendor information, contract details, vendor ratings, performance management, incident tracking, related documents as well as notes and task scheduling in one central location. With this type of solution, companies can standardize vendor sourcing, monitor issues and report on vendor compliance and performance. OnBase formalizes the vendor request and sourcing process to improve onboarding and ensure the right data and documents are collected up front. Employees complete self-service request forms that the solution automatically routes for approval, eliminating inefficient email and phone call requests. Throughout sourcing and selection, OnBase identifies missing critical vendor details and documents such as missing proof of insurance. The system can automatically notify vendors to provide required documentation, allowing personnel to collect all needed content. A complete record helps mitigate risk of financial and civil penalties or potential reputational damage. With OnBase, authorized personnel interact with all vendor information throughout the entire relationship – including key data, conversations and supporting documents like bank verifications and risk assessments. This secure, central access to information and supporting content eliminates information silos and time wasted switching between applications. OnBase even integrates with your accounting system or ERP, displaying vendor service or product data alongside the content in OnBase. Staff easily locate vendor information by searching for key terms, such as vendor name, location or notes added to the file – enabling them to make smarter buying decisions. OnBase also streamlines vendor contract management, providing easy access to contracts and enabling personnel to track key terms and proactively manage milestones. Staff can upload draft contracts directly into OnBase from an email attachment in Outlook, automatically associating them with correct vendor records. The solution automatically tracks contract expirations and auto-renewals and instantly notifies appropriate personnel. This minimizes missed expirations and equips staff to review relationships to ensure they continue to provide value. With OnBase organizations continually evaluate the quality of services or products provided by each vendor, enabling personnel to generate vendor scorecards and graphical performance reports on the fly. They can also record feedback or incidents, complete vendor evaluations and track preferred vendors by determining when the use of special pricing and quantity discounts is most appropriate. This creates a combined knowledgebase that supports future purchase decisions and drives discussions on whether or not to maintain specific vendor relationships. Searching and finding data is very easy using the constrained and ad-hoc searches. Vendor records can have parent-child relationships with objects like contacts, products, incidents, notes, tasks and contracts. Once a vendor or supporting object is being viewed and worked on, users are given access to different tools depending on their security level. Below are some of the capabilities available to the users from the ribbon bar or right click options.